Making purchase on the Internet is now easier than ever, and for that, we have services such as Square and PayPal to thank. Both offer a range of services that make it possible for anyone to purchase anything on the Internet, a benefit that many now routinely take advantage of. In this comparison article, we take a look at the key features of each service in the hopes of helping you decide which is the better of the two for your needs. Square is an electronic payment service that also offers a payment card reading device with the same name. 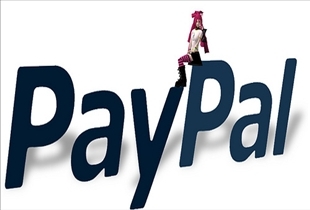 PayPal is an e-commerce service that allows users to make payments and transfer money over the Internet. Along with Square, services such as PayPal and others like it function as much more efficient and convenient payment methods than traditional checks and money orders. Square allows users all over the United States to accept mobile phone payment via cards that they swipe through the Square device, or by entering details manually on the phone. The service was launched in early 2010 by Square Inc., and is currently offered via iPhone, iPod Touch, iPad and Android-based mobile phone versions. At present, a laptop version of the service is being planned for eventual release. PayPal allows the payment and transfer of funds to online vendors, auction sites, and other commercial enterprises in return for a fee. PayPal also frequently charges a certain amount for receiving money, often in an amount proportional to the money received. PayPal fees also vary depending on the particular currency, the payment option, the sender's country of origin, the recipient’s country, the amount sent and the type of account the money will be deposited into. Certain eBay purchases may also be subject to fees of the buyer and seller use different currencies. Making payments via Square is a relatively easy and straightforward process. 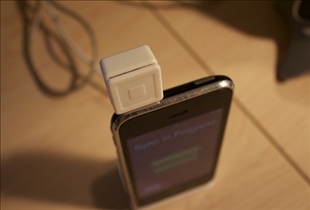 For payment to businesses that accept mobile credit card payments, Square users will simply have to attach a dongle provided for free by the company to their smart phone. This dongle is typically inserted into the audio jack of the phone. After the dongle is attached to the phone, users can then make payments simply by swiping their credit cards through the appropriate section of the dongle. PayPal accounts on the other hand can be funded via electronic debit from a bank account or with a credit card. PayPal transfer recipients can then make a request for a check from PayPal, or they can set up their own PayPal deposit account. Recipients also have the option to request money transfers into their account. Oops, forgot to mention transaction fees! Fail! Paypal is still the best! Square tends to resolve disputes in favor of the client not the vendor. there is virtually no dispute resolution process. They do have a customer service number that is not listed on their website, but it is hard to find and directs you back to their website. It is virtually impossible to talk to a person. Square has over 700 complaints failed against them with the better business bureau and has a C- rating. Square tends to hold transition funds for 30 days. One complaint from a small business owner said that Square drained their bank account. Square withdrew over 1,200 dollars from my business account on a disputed claim after services were provided. They have not provided any customer assistance in resolving this dispute. there is no fax number to send supporting documentation. Sure, Square seems simple to use, but buyer beware! This article helped me make that final choice PayPal is for me. Square did the same thing to me . Even tho I provided documents stating that the service was done they took the words of con artis who dispute and make $ off of ripping off hard working people . Paypal vs. Google Checkout: Which is better?